This blood-spattered sword is already prepared to take on the Undead Apocalypse! 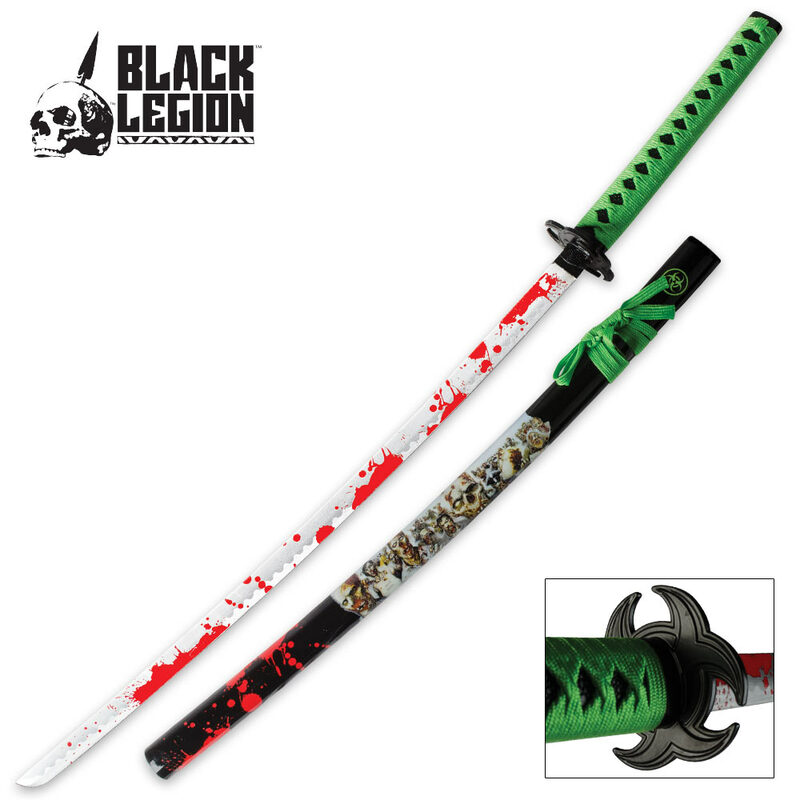 This katana sword features a carbon steel blade with a bright red blood spattered pattern on the blade. The handle features black imitation ray skin and Undead green nylon cord wrapping. 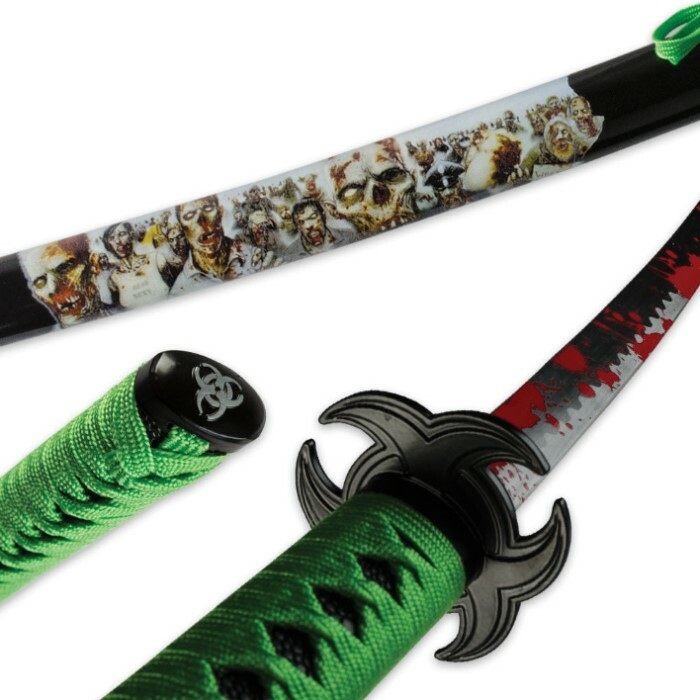 The black-coated zinc aluminum tsuba is shaped like a biohazard symbol, while the wooden scabbard features an Undead mob water transfer design. I bought this as a display piece and I have to say I was surprised at the edge it had. It isn't the sharpest thing I have in my collection, but it does have a nice edge. If there was one thing I would like to have seen better is the care instructions that came with it. You can tell it was just a copy that was made from something else. It almost seemed like a copy of a copy of a copy and so on. There are parts of it that are so light they can't even be read. So I guess my only complaint I really have is with the care instructions. I would like to find where the copy come from to get another copy. I ordered this blade for my mother of all people for a Christmas present. delivery was fast and the sword is outstanding. Love the green and black coloring. It is a great wall hanger. surprisingly, the blade while not the sharpest, did have enough of an edge to make you think twice about swinging it around haphazardly. Thanks BUDK! It's a cool display piece. It's not sharp, but it's $30. It's not meant to be battle ready. Is this sword strong? I'm new to this sword, metal, strength thing, but this sword look awesome.